The Ph.D. program is designed to prepare students for careers in university and college teaching and for research in Religious Studies. All doctoral students are admitted into one of the Department’s fields of specialization and must fulfill the specific requirements of that field. Students in all fields are encouraged to select courses in other departments or curricula and to pursue supporting studies in another department or another field within the Department of Religious Studies. Applicants to the graduate program who have already completed an advanced degree in the study of religion from another academic institution and who can demonstrate sufficient preparation in religious studies may be admitted directly into the Department’s Ph.D. program. Such students are required to demonstrate competency in at least one modern research language relevant to their field of specialization prior to matriculation. During the first semester of study, the Director of Graduate Studies serves as the academic advisor for each new student admitted into the Ph.D. program in this fashion. By the end of the first semester of study, each student must designate a faculty advisor (or advisors) in the student’s field of specialization. Students admitted to the Ph.D. program that have not already earned an M.A. in the study of religion must earn an M.A. in the Department before advancing to the Ph.D. phase of the program. Information about our M.A. requirements can be found here. Students enrolled in the Department’s M.A. program can petition to enter the Ph.D. program after successful completion of all M.A. requirements, or they may be admitted into the Ph.D. program after successfully petitioning to bypass the M.A. degree. For more information about applying to the Ph.D. program, click here. Ancient Mediterranean Religions focuses on ancient forms of religious expression, from Mesopotamia to Rome, encompassing the geographic regions and time periods out of which Judaism and Christianity first emerged. Faculty pursue a variety of critical approaches, including text criticism, linguistic and literary analysis, philosophy, history, and archaeology, in order to examine diversity, interaction, and development in the religious cultures of the ancient Near East and Mediterranean. It is expected that the bulk of a student’s classes will be in their subfield, with other course requirements being fulfilled in related areas in consultation with their advisor. Students will be examined on two ancient languages, one (the primary research language) in a Doctoral Examination as specified in the following section and the other (the secondary language) prior to taking the Doctoral Examinations. It is expected that most students will acquire at least a third ancient language (e.g., Latin, Coptic, Aramaic, Syriac) in the course of their program. A solid competency in both French and German is required of all doctoral students in this field prior to their Doctoral Examinations. Language: A translation examination in the language of primary research (Greek, Hebrew, or Aramaic). Religions and cultures of the ancient Mediterranean: An examination focusing either on the religions of the ancient Near East (including the Hebrew scriptures) to Alexander or on the religions of the Greco-Roman world from Alexander to Constantine. History and literature of the primary field: An examination of the critical study and interpretation of selected texts in the student’s area of special focus, some in the original languages and some in translation, and of the historical developments in the period of specialization. Outside area: An examination in an area outside of the student’s specific area of research interest, whether within the field, within the Department, or within the University (e.g., a student focusing on early Judaism could choose, in consultation with the faculty advisor, to be examined in Hebrew scriptures, early Christianity, religion and culture, classics, etc.). Dissertation examination: An examination in the broad area of proposed dissertation research within the student’s subfield (e.g., Pentateuchal studies, Palestinian archaeology, New Testament textual criticism, Gnosticism, early Christian apocrypha, etc.). The precise formats of these examinations and the relevant bibliographies to be mastered in preparation for them will be determined in consultations between the student and the faculty advisor. In most instances the examinations will cover the broad range of issues relevant to the topic, with at least one question focusing on a subtopic of particular interest to the student, on which greater knowledge and in-depth preparation will be expected. A student who has successfully completed the five written examinations will be given a final oral examination based on issues raised in the written exams and on matters that pertain to the area of dissertation research. Islamic religion and Muslim cultures. Utilizing literary, historical, sociological, anthropological, and other critical approaches, students explore a broad array of Islamic religious traditions, both elite and popular. Students also work closely with program faculty to develop their own particular sub-fields in Islamic Studies. In addition to the requirement of two modern research languages, all students must develop proficiency in at least one Islamicate language (usually Arabic, Persian, Turkish, or Urdu) before taking the Doctoral Examinations. Additional languages may be required by the faculty in the field, and the student’s advisor, depending on the research trajectory of the student. A formulation and interrogation of a problematic in Islamic studies, which both defines and critically examines a series of issues that connect major categories of Islamic thought and practice (e.g., Sufism and reformism, gender studies and the methodologies of Islamic law, Qur’an and literary theory, Shi`ism and performance theory). Theory and methodology of Islamic studies, focusing on the general historiography of the field as well as the ways in which scholars in others disciplines (such as anthropology) and in previously marginalized sub-fields (such as Islam in America or Shi`ism) have sought to reconstruct its boundaries. The religious history of one geographic region, usually the region in which the student expects to do field research (including, for example, the Middle East, South Asia, Central Asia, or North America). This exam is implicitly comparative in approach, since it requires dealing with non-Muslim religious traditions in the region of choice. A thematic examination, focusing on a particular subfield of Islamic studies (such as Sufism, Islamic philosophical and political thought, Qur’anic studies, or Islamic rituals). Upon completion of the written exams, the student will take an oral examination based primarily on issues raised in the written exams. One feature of the program is its close cooperation with the Islamic studies faculty from The Department of Religion at Duke University, located just ten miles from Chapel Hill. Graduate students from both programs regularly participate in joint graduate seminars and informal reading groups, and ask faculty from both universities to serve on their examination and Ph.D. committees. Middle Eastern and Islamic Studies programs at UNC and in the Triangle are coordinated by the Carolina Center for the Study of the Middle East and Muslim Civilizations, housed in the Global Education Center. The Middle East Center collaborates with the Duke University Middle East Center to form theConsortium for Middle East Studies at Duke University and the University of North Carolina at Chapel Hill, a federally funded Title VI National Resource Center. Another affiliated resource is the Duke Islamic Studies Center. University of North Carolina Press has launched a book series on Islamic Civilization and Muslim Networks edited by Bruce Lawrence and Carl Ernst. The program in Medieval and Early Modern Studies is designed to encourage broad understanding of the history of one or more of the major Eurasian religious traditions from their formative periods (in the first millennium C.E.) through the nineteenth century and mastery of a specific area of specialization within that range. The field’s scholarly focus is the relationship between religious traditions and their cultural settings, the study of which is multidisciplinary and can only be undertaken responsibly in concert with colleagues and students from other University departments (including Art and Architectural History, Anthropology, Asian Studies, English, Classics, History, Philosophy, Romance Languages, German, and Comparative Literature). 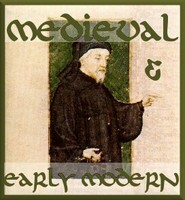 Students are required to complete the gateway course in the field (a seminar in methods and topics in medieval and early modern religions) early in their time in the program. Competence in two modern research languages and one classical language (e.g., Latin, Hebrew or literary Chinese) is required of all doctoral students in the field. The modern research languages are commonly French and German, though other research languages may be substituted with the approval of the faculty in the field and the student’s advisor if appropriate for the student’s specific area of research. Candidates for the degree may be required to acquire reading knowledge of other languages relevant to their doctoral research. Doctoral candidates will be required to pass four written examinations subsequent to the completion of course work. The first two exams cover intellectual and institutional developments in one of three periods: (1) the formative through the early medieval period; (2) the medieval period; or (3) the early modern period. Candidates will be tested for comprehensive knowledge of the period most directly related to their areas of special interest and for their familiarity with primary sources and interpretive studies. The third exam permits students to track their area, theme, or topic of special interest through other periods in the history of the religion(s) of primary research interest. The fourth exam may supplement the third exam or enable the students to track their area, theme, or topic of special interest in the history of other Eurasian religions. The special interests of recent students include such topics as rituals of dedication, penance, ascetic discipline, authority and polity, religion and drama, and hagiography. Upon completing the written examinations, candidates will be given a final oral examination on the results of their work and plans for dissertation research. Religion and Culture focuses on the critical study of culture with specific attention to the position of religion within modernity. The field explores a variety of philosophical and cultural themes arising from modern discourses on religion, including academic discourses. The theoretical basis of Religion and Culture is informed not only by the Western philosophical tradition but also by a broader range of intellectual traditions, incorporating the perspectives of ethnography, critical theory, and contemporary cultural criticism. All students in Religion and Culture are expected to become well-grounded in modern Western intellectual and cultural history since the seventeenth century, including the major traditions of modern scholarly engagement with religion as well as the critical reactions to these traditions. Building on this foundation, each student designs and carries out focused study in a specific discursive tradition or a particular empirical moment of cultural practice. Students specialize in such areas as the ethnographic study of religion, religion in American law and politics, Jewish studies, religion and gender, and modern Western religious thought. RELI 720, Critical Lineages in Religion and Culture, is required of all Religion and Culture students. Additional coursework should be selected through close and regular consultation with the student’s faculty advisor. Each student is required to be competent in two modern research languages. These languages are commonly French and German, through other research languages can be substituted with the approval of the faculty in the field and the student’s advisor if appropriate for the student’s specific area of research. Western intellectual and cultural history since 1600. This examination includes basic issues in the philosophy of religion, theory and method in the study of religion, and contemporary critical theory. The purpose of the exam is to situate the field of Religion and Culture in its historical and intellectual context. Cultural theory. This examination focuses on methodological and theoretical issues in an area of cultural theory relevant to the student’s scholarly work, such as literary theory, cultural studies, ethnographic theory, postcolonial studies, or gender theory. Dissertation examination. This exam covers historical and critical literature specific to the student’s area of dissertation research. The field of Religion in the Americas emphasizes the multiplicity of religious traditions in the Americas and explores the links between religion and other aspects of American culture from the precolonial era to the present. Special features of the program at UNC include its close affiliations with related disciplines in the humanities and social sciences and the freedom it allows in the selection of sources and methods for the study of American religion. Approaches to the Study of Religion in the Americas Explores methods, theories, and genealogies that shape the study of religion in the Americas. The course introduces students to key historiographical contexts and theoretical debates that will help them situate the field within the discipline of Religious Studies. A study of religion in the Americas from pre-contact indigenous communities to 19th century wars of independence. The course examines cases of migration, encounter, rebellion, and institutionalization across the continent and introduces theoretical debates about colonialism, hybridity, revival, and revolution. A study of religion in the Americas through the lens of post-colonialism understood as a concept, a method, and a historical period. This course introduces students to theoretical debates about power, culture, history, and representation to better understand the present and future of the field. General history of American religion: The first exam entails a survey of knowledge consistent with that found in standard historical overviews of the field. The relation among society, culture, and religion in a particular period, geographical area, or sphere of activity: The second exam calls for both comprehensive and detailed knowledge of a given period (such as the colonial era), or geographical area (such as the South), or sphere of activity (such as church and state). The methods and historiography of the profession: The third exam focuses on the general historiography of the field, as well as ways that scholars in other disciplines (such as sociology) and in heretofore marginalized subfields (such as African-American and Roman Catholic history) have sought to reconstruct its boundaries. An outside field: The content of the fourth exam is to be determined by arrangement between the student and his or her advisor. Examples include the religious history of Renaissance/Reformation Europe, a major non-Western religion, New Testament, or the sociology of religion. The aim of the fourth exam is to demonstrate the student’s ability to teach an introductory college course in a related, but essentially different, period or discipline or body of texts. Opportunities for the study of American religion here and at other institutions in central North Carolina are particularly strong. Scholars in other Departments or programs at UNC such as Afro-American Studies, American Studies, Anthropology, English, Folklore, History, Latin American Studies, Political Science, and Sociology, regularly offer courses and participate in graduate examinations in the field. There is a large and well-developed program in American religious history at nearby Duke University. Students at both institutions routinely enroll in each other’s graduate courses and participate in a series of jointly sponsored colloquia each semester. Read more about the collaboration between the two universities in the study of American religion. The Southern Historical Collection, the North Carolina Historical Collection, and the folklore and ethnomusicology collections at UNC attract researchers from all parts of the nation. Specialized resources such as the Wesleyan collection at Duke, the Primitive Baptist collection at Elon College, the Friends collection at Guilford College, and the Southern Baptist collections at Wake Forest and at Southeastern Baptist Seminary, are easily accessible. Religions of Asia specializes in ethnographic and historical approaches to the study of the religions of Asia. Students in this field of specialization focus on Asian traditions in their social, cultural, and historical environments and contexts of exchange. Participants in this concentration use a variety of methodologies to explore specific questions and themes (including gender, diaspora, personhood and identity, place and pilgrimage, religion and the state, transnationalism/globalization, and the cultural and political dynamics of religious modernity) as these intersect, influence, and are influenced by past and present religious formations. Core faculty have particular expertise in the contemporary religious worlds of Japan and Nepal. All students are required to complete RELI 885, the Religions of Asia Gateway, and to demonstrate proficiency in the language or languages of primary research. Other courses will be selected in consultations between the student and her or his advisor. Students in this specialization are encouraged to collaborate with faculty in other graduate specializations (including Religion and Culture, Islamic Studies, and Religion in the Americas) and at Duke University. In addition to languages necessary for the student’s primary research, each student is required to be competent in two modern research languages. These languages are commonly French and German, though other research languages may be substituted with the approval of the faculty in the field and the student’s advisor, if appropriate for the student’s specific area of research. All Ph.D. candidates are required to pass a set of four Doctoral Examinations. Faculty members, in consultation with the student, will determine the topics of the exams based upon the student’s area of specialization. Theory and method. This examination focuses on methodological and theoretical issues in an area relevant to the student’s scholarly work, such as historiography, ethnography, or critical area studies. Basic themes and critical issues in one or more subfield or Asian religious tradition. History and culture of the student’s sub-specialization (i.e., historical period, ethnographic area and/or religious tradition). Students will also be required to demonstrate significant familiarity with of one additional tradition, geographic area, or religio-cultural context that is broadly related to the students’ anticipated dissertation research. Significant familiarity is defined for these purposes as familiarity with the history, culture, scholarly discourses on, and current critical issues within scholarship related to that area. Each new student is admitted into one of these fields of specialization. Each field has specific degree requirements that must be completed in addition to the general requirements for the Ph.D. degree. In addition to these formally delinated fields of specialization, the Department has concentrated strengths in areas including the anthropology of religion, archeology and material culture, critical approaches to the study of religion, ethnographic methodologies, global Christianity, Jewish Studies, religion, gender and sexuality, and religion and modernity. Graduate students regularly develop expertise in these areas by taking thematically-focused courses within and beyond the graduate fields in which they were admitted. All students who have completed an M.A. degree in the Department or who have successfully petitioned the GSC to bypass the M.A. degree are required to take a minimum of 18 additional hours of coursework (6 courses) at the Ph.D. level. Up to 6 hours (2 courses) previously taken at UNC in excess of the 30-hour M.A. requirement may be counted toward the Ph.D. coursework requirement upon approval of the advisor and the GSC. Students admitted directly into the Ph.D. program with an advanced degree from another institution are required to take a minimum of 36 hours of coursework (12 courses) at the Ph.D. level. As part of this 36-hour requirement, these students are required to take RELI 700 and at least one gateway course. RELI 700: Theory and Method in the Study of Religion, usually offered every fall semester, is a required course for all first-year graduate students. The course is designed to provide students with a thorough grounding in the history of religious studies and knowledge of some of its primary theoretical orientations. At the conclusion of the course, a final examination is administered. All students in all fields of specialization are encouraged to select courses in other departments or curricula and to pursue supporting studies in another department or in another field within the Department of Religious Studies. All Ph.D. students must demonstrate reading competency in two modern research languages prior to beginning their Doctoral Examinations. The particular languages a student studies will be decided by faculty members in the student’s field of specialization and the student’s advisor. Some fields also require students to demonstrate proficiency in additional languages necessary for the study of primary texts and other materials. All Ph.D. candidates are required to pass a set of doctoral examinations (the “Doctoral Examinations”). The Doctoral Examinations include at least four written exams and a concluding oral examination. All Doctoral Examinations must be completed before the student can proceed to begin formal work on a doctoral dissertation. The Doctoral Examinations are intended to demonstrate the mastery of broad scholarly literature within the student’s field of specialization as well as specific literature relevant to the student’s dissertation and related areas of research. These examinations also signal the teaching competencies of the student. In consultation with the advisor, the student should aim both for breadth across the discipline of Religious Studies (and sometimes in allied fields in the humanities or social sciences) and for depth within a specific area of specialization. Students consult with their advisors to form the exam committee, who then work with students to construct and approve bibliographies for each area of examination, write the examination questions, evaluate the written examination, and administer the final oral examination. More detailed information about examination procedures is available in the Graduate Program Policies and Procedures. As the culmination of the Ph.D. program, each Ph.D. student must write and defend (by oral examination) a doctoral dissertation in the student’s field of specialization. The doctoral dissertation is designed to be a substantial and innovative contribution to knowledge. The student should draft the dissertation in very close consultation with the faculty advisor, who will provide guidance on research, writing, and other practical matters involved in the dissertation process. At least thirty days prior to the end of the semester that follows the completion of the Doctoral Examinations, each student must prepare a proposal for a doctoral dissertation under the guidance of the student’s advisor. After the student’s advisor has approved the dissertation proposal, it is reviewed by the Graduate Studies Committee (GSC). Following approval by the GSC, the dissertation proposal will be evaluated by a dissertation committee consisting of at least five faculty members, at least two (but normally three) of whom must be full-time faculty members of the Department of Religious Studies. All members of the dissertation committee participate in the oral defense of the completed dissertation. At the conclusion of the defense, the members of the committee will vote either to pass the dissertation, to fail it, or to require revisions. Following approval of the thesis, candidates must meet all University specifications for formatting and submitting the final version of the dissertation manuscript to the University. More detailed information about procedures for the dissertation proposal, committee, and defense is available in the Graduate Program Policies and Procedures. A student must complete all the requirements for the Ph.D. degree within eight years of being admitted into the Ph.D. level of the graduate program (not counting time spent attaining the M.A. degree).